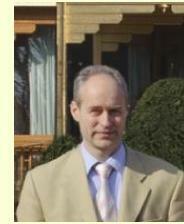 has worked with Maharishi Ayurveda for 25 years now. When can I come, What does it cost, How to get there? Consultations are available Monday to Thursday during office hours. Please make an appointment by contacting the secretary. Wellness treatments can be booked for any day of the week. No personal consultation is needed for a maximum of 2 treatment days. For longer treatment days, a consultation is needed in order to determine the most suitable treatments for you. This can be done by means of a short consultation or a standard consultation. Panchakarma-detox treatments can also start at any day of the week. Before you register for a panchakarma treatment, it is necessary to assess your physical condition, to determine which treatments you will need. If you live in the vicinity of Lelystad a personal consultation a few weeks prior to the panchakarma treatment is recommended. If you do not live in the vicinity, then it is possible to fill in a questionnaire. We will send you this questionnaire on request by email or normal post. After you have returned the completed questionnaire to us, we will contact you by telephone or Skype to discuss the practicalities. For examples of all inclusive packages of panchakarma treatment combinations. Of course your treatment programme will be tailor made for you. Lelystad can easily be reached from Schiphol Airport by train. Travel to Lelystad central station takes around 45 minutes. We can pick you up from the train station. Directions for car and train.